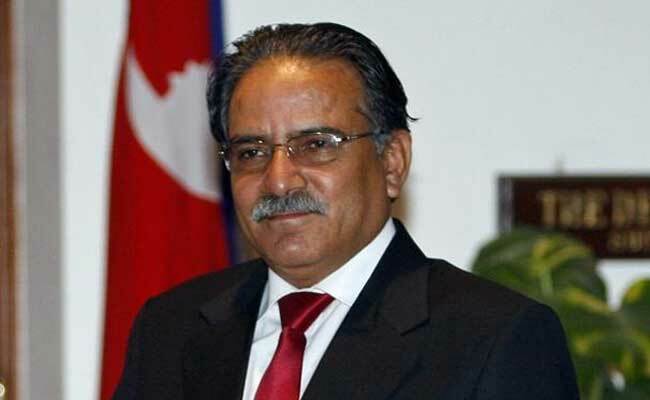 Pushpa Kamal Dahal was elected the 39th Prime Minister by Nepal's Parliament on Wednesday. Kathmandu: CPN (Maoist Centre) leader Pushpa Kamal Dahal aka 'Prachanda' was here on Thursday administered the oath of office and secrecy as Nepal Prime Minister by President Bidhya Devi Bhandari. After his oath-taking ceremony, Prachanda administered oath of office to five minister, including three from the Maoist outfit and two from the Nepali Congress. Prachanda, who was elected the 39th Prime Minister by Nepal's Parliament on Wednesday, took the oath of office at a special function held at the President's residence in Kathmandu. This is Prachanda's second innings as the Prime Minister. He was elected to the top political post in 2008 but resigned in April 2009 following a row over the sacking of the then army chief General Rookmungad Katawal. Nepal Vice-President Nanda Kishor Pun, Chief Justice Shushila Karki, former Prime Ministers, leaders of various political parties and heads of Kathmandu-based foreign diplomats were present at the Prachanda's swearing-in ceremony. Maoist leaders Krishna Bahadur Mahara, Daljit Shreepali and Gauri Shankar Chaudhary were sworn-in as Deputy Prime Minister and Finance Minister, Youth and Sports Minister and Agriculture Minister respectively. Both Shreepali and Chaudhary are former guerillas. Nepali Congress leaders Bimalendra Nidhi will be Deputy Prime Minister and Home Minister while Ramesh Lekhak will handle the Physical Infrastructure and Transportation portfolio. The Cabinet formation will take another week to complete as the Nepali Congress is set to get 13 ministries while the Maoists will have eight ministries.